Are you adjusted to the time change yet? You know... there is a reason for changing time... I think it has to do with children and school... I'm sure there is a great reason (I think!) however, my preference... just leave it alone! How in the world did the country ever survive before we had it? Tell me... I surely want to know! Jack told me but I forgot... I want them SHOT! ahhhhhhhhhh... feel better now! Oh no...wait... another weekend issue! What's up with the Jaguars? I'm sorry...but after the 3rd touchdown by the Lions...I changed the channel. I think our team forgot to join the game. Of course... I am certainly not an expert on football.... but I do like to see our team win.. (once in a while?) I'll bet the new owner is not a happy man... I sure wouldn't be! Take a peek at what I found for you today!! I want one of these and If they are not too expensive... I would love to put them in Christmas stockings. 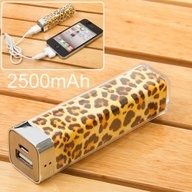 They are "extra power" for you to carry in your purse. If your phone or iPad is just about out of power and you cannot get to electricity... plug into this bad boy... "Power Up" !! Cool huh? I saw them at Office Depot yesterday and thought how wonderful they are! Now this my friend... is pretty darn clever... if for nothing else - being productive and saving time. How many times do we have to cut up bananas for the little ones... or for banana pudding...? Here you go. 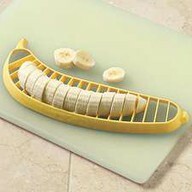 Peel the banana - lay on the cutting board and press with the cutter. All done! LOVE IT! This was pretty clever too... 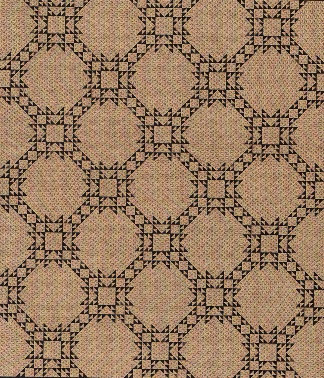 I've used one of these (the entire length) on the back of my sewing closet door. It's so great to hang all those little things you use in sewing and quilting...and can never find when you need them. I put all of my rotary cutters in one, blades in the second... tape measures, bias binding tools... you name it. I think taking it to the sewing machine and stitching up the sides and in between each pocket may not be a bad idea to give it extra strength!. They are also super in the kitchen - rubber gloves, scratch pads, sponges... or in the bathroom! How about in the mud room... roll up your scarves, for gloves, mittens, etc. Man... 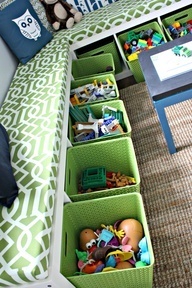 I wish I would have thought about this for my kids rooms. They have taken book cases - painted them white - laid them on their sides... bought rubber tubs to slide in the holes...then made a cushion for on the top! Isn't this wonderful! Well... 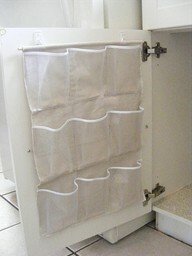 I thought about doing the same thing only in my fabric closet!!! 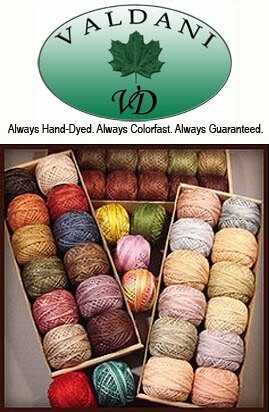 I would stack one on top of the other... then in one tub I can have scraps, yarns, patterns all lined up and easy to look through, wools... What do you think? I'm thinking it would work great! I think I can get more in a tub than i can on a shelf and not worry about it falling out. 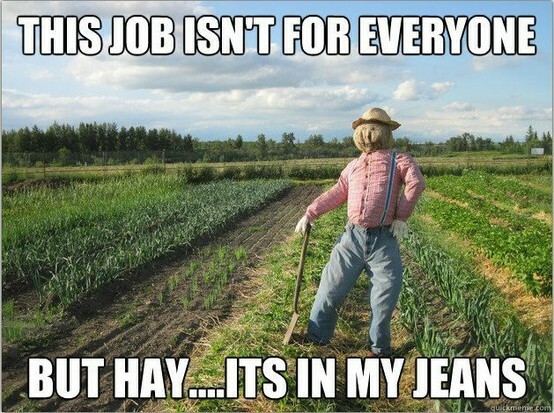 Ha... had to throw in a "funny" for you! Hay.... just for fun!!! hahahahahaha! I just love fleece... it's so soft and cuddly. 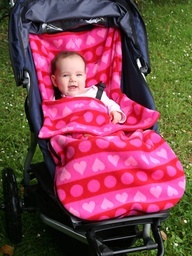 They have made a fleece coverlet for the stroller. It's warm under the baby and on top...it's like a sleeping bag. Now the blanket doesn't fall off! Heck... move over wee one... I'm crawling in there with you! I'm not sure...but I think these birds are a little confused! The nest is supposed to be INSIDE the box. But then...upon closer inspection... notice the two different types of birds? Yes.. 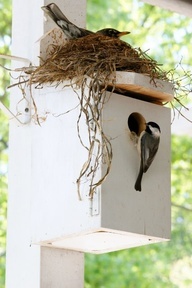 I think there is a nest inside too (for the smaller bird) and the bigger one is on top! Hey... it's a CONDO!!! Okay... I'm thinking these birds are smarter than we give them credit for. 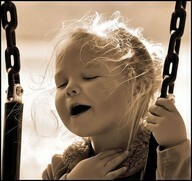 There is nothing more sweet than watching a wee one sing. Both my Lexie and Eden sing while they are playing... it's just natural for them I think. I love to watch their sweet faces when they are playing...when they have no idea I'm watching. Such sweetness and innocence... fills my heart and soul with so much love for them... if they only knew. They will someday...when they have sweet grandchildren as I do! My honey has now joined the gym. Poor fellow...he is so sore he can hardly get up and down. He met with the trainer this morning and will soon be on a more practical program. The trainer told him he was doing too much to start off with. You can imagine how that pleased him. p.s. Houston Quilt Festival is now over and many that were vendors told me sales were up greatly from last year. I'm so happy for all of them...it's such hard work and then when the sales are not good... it's so defeating to your soul!! Thanks to everyone that attended and shopped with the vendors! They truly appreciate you!